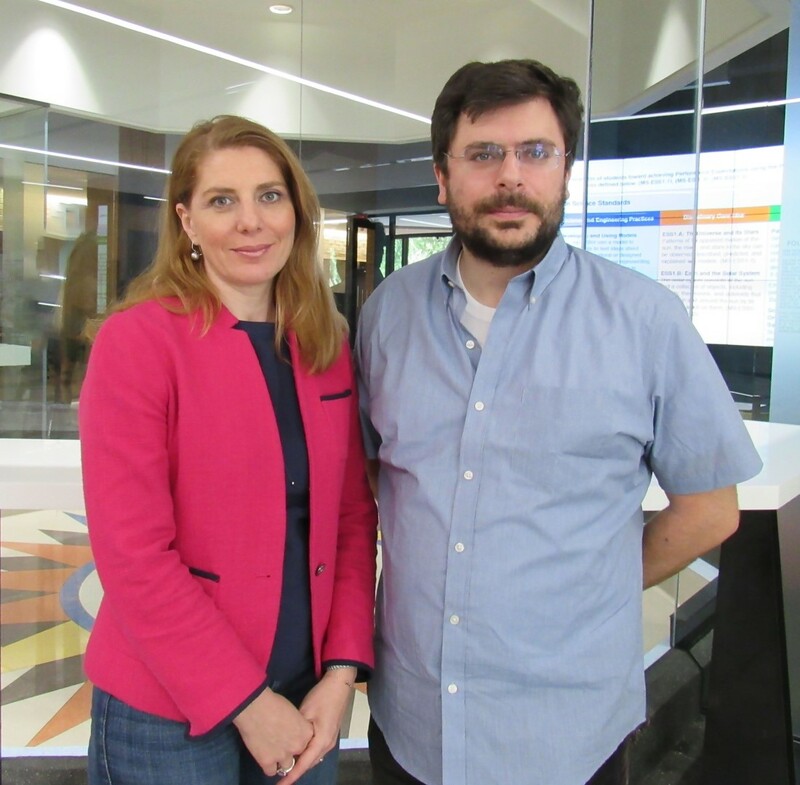 Scialog – Research Corporation for Science Advancement and the Gordon and Betty Moore Foundation have named Banu Ozkan and Steve Presse, physics professors at Arizona State University, as outstanding Scialog fellows. Scialog fellows submit proposals for seed funding of advanced, interdisciplinary scientific research by creating collaborative teams in a closed annual conference. The collaborative teams are comprised of theorist and experimentalist scientists that work together at the interface of theoretical physics and cell biology to implement cutting-edge topics. Ozkan and Presse were both awarded independent awards. Presse has proposed to use machine learning tools in order to classify cell types involved in cancerous organoids. The ultimate goal is to map out roles and predict future dynamics of leader cells involving in the propagation of cancer. He will collaborate with Professor Michelle Digman at the University of Irvin and Professor Bo Sun at Oregon State University. Ozkan will study the mechanism by which distant protein residues communicate, determine how prevalent allostery among all proteins in proteome truly are, and unravel the second secret of life “allostery” through recently-developed theoretical and experimental methods from the Ozkan and Fordyce labs. What happens when whistleblowers “out” executives and the companies who knowingly cook the books? New research shows some eye-opening results. Firms are hit with significantly higher financial penalties, and individuals who are convicted receive longer prison sentences, on top of stiffer fines — according to a paper recently published online in the Journal of Accounting Research. Andrew Call, associate professor at the W. P. Carey School of Business at Arizona State University, and his co-authorsThe study's co-authors are Gerald Martin, American University; Nathan Sharp, Texas A&M University; Jaron Wilde, University of Iowa. examined federal investigations of financial misrepresentation from the U.S. Department of Justice (DOJ) and the Securities and Exchange Commission (SEC) from 1978 through 2012. They also pulled data from whistleblower complaints to the U.S. Department of Labor’s Occupational Safety and Health Administration (OSHA). “We had good reason to believe that whistleblowers help regulators bring stiffer penalties against the guilty parties. But we were surprised at the magnitude of our findings,” said Call. Whistleblower involvement is associated with an 8.5 percent increased likelihood of monetary sanctions on a company and a 6.6 percent increased likelihood of criminal sanctions against employees targeted in the investigation. In addition, regulators more quickly begin enforcement proceedings when whistleblowers are involved. Find the study here. In terms of economic significance, here are some interesting results from the study — although the authors warn the estimates should be interpreted with caution because of skewness in distribution. The researchers were careful to note that their findings are subject to several important limitations. For example, most of the whistleblower allegations in the sample data are obtained from OSHA, and researchers could not directly observe whether the SEC or DOJ actually used the information from each OSHA whistleblower. As a result, these cases represent potential whistleblower involvement. For the sample of whistleblowers that filed a report with OSHA, researchers used the filing date of the whistleblowing allegation with OSHA as the relevant date for determining whether the whistleblower is a tipster or a nontipster. The researchers consider whistleblowers to be non-tipsters when the whistleblowing date is after the earliest known regulatory investigation or enforcement inquiry date. Of the 148 whistleblowing cases in the sample, 135 were classified as non-tipsters; the remaining 13 cases were classified as tipsters. Researchers say overall, their findings are likely of interest to legislators who enact whistleblowing policies, to government officials who prosecute firms and executives accused of wrongdoing, and to targeted firms themselves.